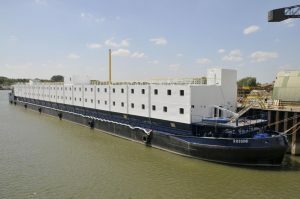 Chevalier Floatels has come up with a fast solution to provide temporary floating hospitals. During periods of sudden crisis large hospital facilities may be needed. Currently the south of Europe and some parts of Asia are confronted with a large influx of refugees. As they often come via sea or from areas of travail, a lot of these persons need medical treatment. Building a new hospital is time consuming and costly. 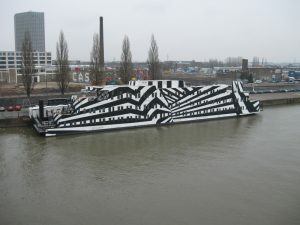 After the crisis has been surpassed the floating hospital needs to be removed. A lot of destruction of capital invested. 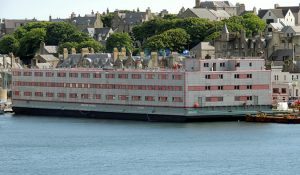 The Chevalier Floating hospitals simply sail away, making it the ideal temporary hospital. Kalmar can be converted into a floating hospital with 221 rooms. Apart from that there is lots of space for treatment rooms, pharmacy departments, offices, visitor lounges. The large galley can provide for the catering and the laundry can take care of all the cleaning needs. Conversion can be done in a matter of weeks. Rossini could accommodate 110 hospital rooms. Apart from that there is space for treatment rooms, pharmacy department, offices and visitor areas. The large galley can provide for the catering and the laundry can take care of all the cleaning needs. Conversion can be done in a matter of weeks. Sans Vitesse could accommodate 90 hospital rooms. Apart from that there is space for treatment rooms, pharmacy department, offices and visitor areas. The large galley can provide for the catering and the laundry can take care of all the cleaning needs. Conversion can be done in a matter of weeks.